Earn up to 496 reward points. 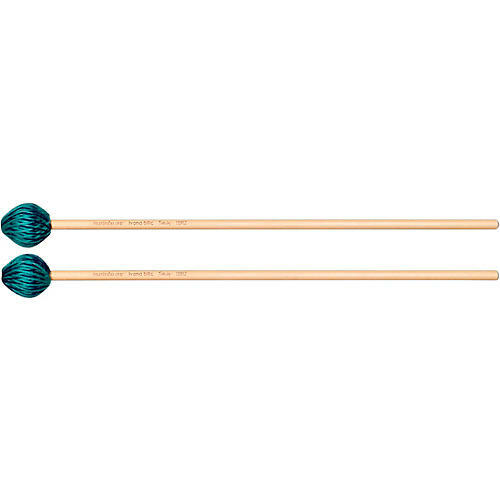 Marimba One Signature Series mallets. The Ivana Bilic Signature Mallet Series was developed to emphasize the singing characteristic of the marimba by relating the sounds each mallet makes to human vocal qualities. This is a mid-weight series with six grades of hardness, and is currently available with rattan handles. Ivana's series consists of five wool/synthetic yarn mallets and one wool/wool yarn mallet. The wool yarn warms the sound, the synthetic yarn provides articulation. In describing her mallets Ivana has created a scale that utilizes the language of vocal range and timbre. Her definitions for each mallet combine the ideal playing range for a mallet with the color/timbre of its sound.